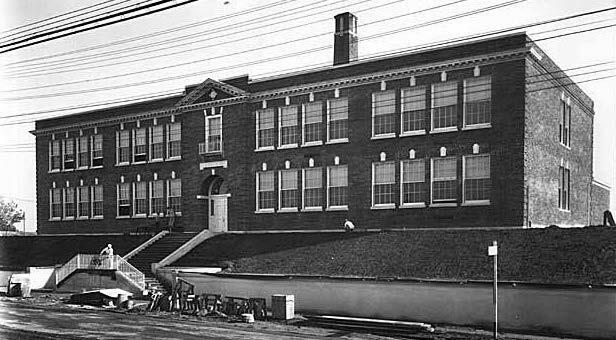 Magnolia School, the former elementary school on 28th Avenue West, has been given historical landmark status, making it one of many Seattle Public Schools’ (SPS) historical schools in need of rehabilitation and renovation. Designed by Floyd A. Naramore, a SPS architect, Magnolia School opened in 1927. Naramore designed more than 30 other schools in the Seattle area in the 1920s and 1930s, in his signature Georgian Colonial Revival style. Magnolia School was built for the purpose of teaching grades 1 through 6. The school was later expanded to include grades 7 and 8. By 1929, 235 students were enrolled, and it was determined that additional space was needed. 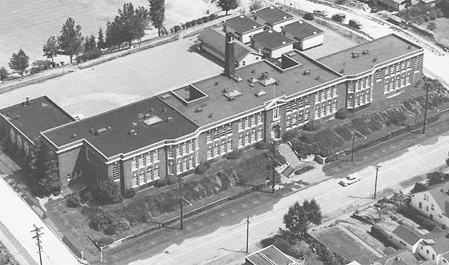 The school underwent a series of build-outs to accommodate a growing population in 1931, 1939, 1941 and again in 1969 by SPS. According to the Landmarks Preservation Board, Magnolia Elementary School was paired with Dearborn Park Elementary in 1978 to address issues of racial imbalance. 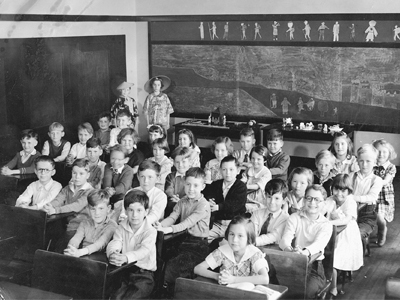 Magnolia School became a grades 1-3 school and Dearborn Park served as the grades 4-6 school for students in the assigned boundaries. On Magnolia, she said, Magnolia Elementary and Briarcliff Elementary were selected to close because of issues of earthquake safety, among others — one other being Magnolia School, having its playground on city land, which has since become Ella Bailey Park. Blaine, traditionally the Magnolia middle school, became an elementary, and Lawton Elementary was rebuilt. Middle school children from Magnolia were (and still are) bused to McClure, she continued. New elementary school assignment boundaries were redrawn, from the traditional and longstanding north and south division to an east-and-west one, to help balance the schools with comparable student populations. After Magnolia School closed, the building was used as an interim site for several schools — Adams Elementary from 1987 to 1989, and John Muir Elementary from 1989 to 1990 — as their buildings were being renovated. The African American Academy occupied the building from 1993 until its new school was completed in 2000. Franz H. Coe Elementary used the building between 2000 and 2002 during a renovation of its facility. Magnolia School was boarded up in 2002, and remains empty today. Since closure, residents and community advocates have been asking the school board if the city can come up with the funding to rehabilitate and reopen the school in some configuration from elementary to high school. The request identified three projects for funding, including Magnolia School. Despite the state’s longstanding failure to demonstrate sufficient progress to fully fund education reforms by the 2017-2018 school year, then-state Reps. Reuven Carlyle and Gael Tarleton, who represent the 36th Legislative District announced on March 27, 2015, that part of the capital budget will include plans to repair and reopen the Magnolia School. The capital budget includes $7.7 million for repairs and renovation. While they have committed to funding, a final determination of use has not been made. According to a Queen Anne & Magnolia News article, “Magnolia Elementary School to reopen” (July 28, 2015), Magnolia Community Council president Carol Burton supported the issue of historic preservation of the Magnolia School by writing a letter calling for preservation and stressing the need for another school in the neighborhood. The community council informed the Landmarks Preservation Board that it supported historic landmark designation of Magnolia School. The Landmarks Preservation Board unanimously approved landmark status for Magnolia School on July 15, 2015. According to Richard Best, director of capital projects and planning at SPS, “Seattle Public Schools is planning to reopen Magnolia School as an elementary school. We have received some funding from the State of Washington and have another funding request before our voters — Buildings, Technology and Academics/Athletics IV (BTA) — that will be determined on Feb. 9, 2016. Successful passage of the BTA IV capital levy will allow SPS to implement building systems improvements that meet the City of Seattle Substantial Alterations code designation (i.e., seismic and energy conservation improvements). Magnolia School is projected to open fall 2018. It’s unclear at this time if future plans for Magnolia School will have any impact on current use of other SPS facilities. For more Magnolia history, check out our books and Society events at www.magnoliahistoricalsociety.org. If you are interested in serving on our board, call (206) 261-0255. LISA MEOLI is a board member of the Magnolia Historical Society (www.magnoliahistoricalsociety.org). To comment on this column, write to QAMagNews@nwlink.com.